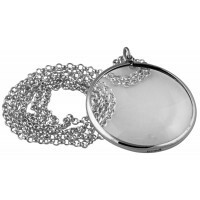 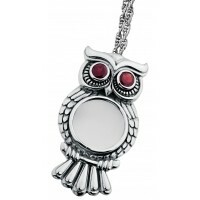 Our beautiful sterling silver magnifying glass pendant necklaces are the perfect addition to any desk or hand bag. 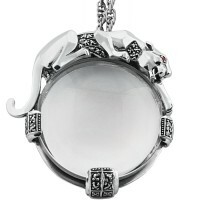 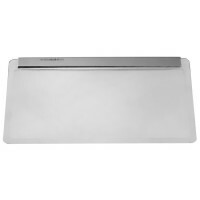 Be it out of vanity or necessity or indeed an elegant combination of both. 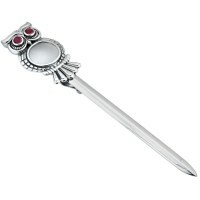 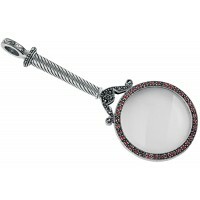 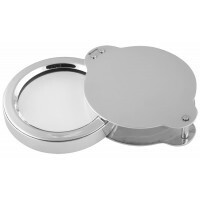 Below you will find a unique selection of both small and large sterling silver reading magnifying glasses. 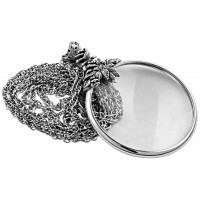 You can choose from, including personalised pocket magnifying glasses, desk magnifying glasses, hand held Sherlock Holmes style and even magnifying glasses that have been cunningly disguised as bejewelled pendants. 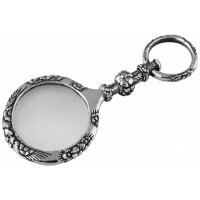 Made with high quality silver, we aim to impress with our engraved magnifying glasses. GT1025 Pocket Magnifier Sterling Silver Ari D Norman Classic, simple and truly timele..
GT2264 Desk Paperweight and Magnifying Glass Sterling Silver Ari D Norman Stay organised w..
GT31 Victorian Magnifying Glass Sterling Silver Ari D Norman Inspired by the influential V..
GT798 Unique Magnifying Glass Pendant Sterling Silver Ari D Norman Beautifully crafted, ou..
GT88 Folding Magnifying Glass With Tassel Sterling Silver Ari D Norman Inspired by the Cel..
GT963 Pocket Magnifying Glass Sterling Silver Ari D Norman Our sterling silver hinged magn..
PT205 Panther Magnifying Glass Pendant on Chain Sterling Silver Ari D Norman Both a sterli..
PT221 FLORAL MAGNIFYING GLASS PENDANT ON CHAIN Our floral magnifying glass pendant is fine..
PT422 Plain Magnifying Glass Pendant on Chain Sterling Silver Ari D Norman With a magnific..